If you’re a parent, it’s almost inevitable that you’re going to be faced with your child not wanting to go to school at some point. The most important thing is that you identify the problem correctly. Is it workload, peer pressure, or your child’s individual way of coping? It’s vital for parents to look at your child’s situation closely: does he require more sleep or is there a social problem? Or is this a kid who lacks sufficient problem-solving skills to help him solve the problem of getting out of bed when he doesn’t want to? Sometimes kids are afraid of a bully, and actually, avoiding school is one of the first signs that your child is being bullied, so be sure to investigate that possibility. And there are other kids who just don’t want to respond to structure and who have a hard time with authority. Not going to school becomes another avenue of acting out for them. In all of these cases, it’s important for you to understand that the kid’s refusal to go to school is his way of solving a problem that’s real to him. As we see over and over again with some children, the way they solve problems gets them into more trouble. That’s why it’s very important that you help your child develop problem-solving skills on his or her own, so that when problems arise on any level over anything, your child will be able to think of a way to figure it out successfully. The truth is, millions of people get up and go to work every day. One way of seeing it is that these people have solved the problem of going to work successfully. The reason they’ve solved their problem is because they’ve developed a constellation of problem-solving skills that help them function successfully in the real world. When we look at adult problem-solving skills, two things stand out: motivation and consequences. The motivation is why they have to go to work. They have to feed their family, they have to feed themselves. They work harder to have a nicer car, nicer clothes, to go out at night. These are motivations. The consequences are if they don’t get up and go to work, they lose their job. Over time, they lose many jobs and they wind up in trouble socially and economically. The same motivation and consequences apply to your child when he doesn’t want to go to school, and you need to teach that to him now. As the parent, you have a two-part goal: to get that kid go to school and to help or him identify and solve the problem associated with him not wanting to go to school. Motivation is pretty easy because it’s easy to reward people. What I say to parents is to tell their kids something like this, “If you get up on time, you’ll be able to stay up until 9 p.m. You’ll be able to listen to your radio after bedtime to help you go to sleep, or if you get up on time, you can have an hour in your room to relax and you won’t have to have lights-out right at bedtime.” At all times, parents should connect getting up for school on time with good grades and good performance and give kids lots of approval for that. In fact, one thing a parent might say to a kid is, “I really like it that you get up well in the morning. Do you ever feel like not getting up? What do you tell yourself when you don’t feel like getting up?” You’ll learn how your child thinks and how he solves the problem. If your child has a problem with getting up in the morning, certainly TV, video games and cell phone time should be taken away and consequences should be given by withholding them or limiting the time your child can have with these things. Not going to school is the symptom of a bigger problem sometimes. The kid is not meeting his responsibilities overall in school and at home. Several things need to be noted here: it’s important how parents communicate to kids about responsibilities. It has a lot to do with how seriously they take their responsibilities today. Parents of kids who resist and fight going to school should be looking at a whole new way of communicating with their kids and a whole new approach to responsibility in the home. Ask yourself: “Does my child resist me on most things I ask him to do? Does he meet assigned responsibilities in the home? Does he have fairly unlimited access to things like video games and computer games?” If the answer is yes, it’s probably time to set limits on these things so that you can use them as a consequence or a reward for getting up and going to school. Believe it or not, it can be done. It’s easier than parents think to restructure how to do things with their kids. A few quick tips: Don’t try to have a serious discussion in the morning about the getting up problem with a child who won’t get up. That’s not the time they can learn new problem-solving skills. They’re too busy justifying their excuses and fighting with you. That problem-solving discussion should take place later. Second, if getting up becomes a chronic problem, parents have to accept that there are consequences imposed by the school and society, not just by the family. You should let the child be late and not give an excuse. Write a note saying: “He wouldn’t get out of bed, please hold him accountable for his lateness.” If that means a detention, that’s great. You should not protect your kids from consequences. Older kids who miss class are going to fail, and that’s a consequence in itself. So this week, if your child won’t get out of bed or throws a fit again about going to school, think about these three things. First, it’s important to correctly identify the problem. Problem-solving skills require problem-identifying skills. Parents who are not equipped to do this should seek cognitive-behavioral oriented help. Secondly, parents need to decide what motivational tools they can use to reward kids who get out of bed on time consistently, which to me says that they solved the problem of getting out of bed successfully. And third, don’t be afraid to use and enforce consequences and limits. There are consequences to not meeting responsibilities in the world, and that should start when you’re a child. And the difference between punishment and consequences needs to be understood by parents in order for them both to be used effectively. Where Does Accountability Ultimately Lie? I want to focus on two things here: With younger children chronically refusing to get out of bed, parents should try to involve the school system or community-based in home intervention resources to give them support in dealing with this problem. With older children and teenagers, the same supports should be sought; however, often teenagers will resist even higher levels of intervention if they have a pattern of oppositionality and defiance. While parents should confront this with all the resources at their command, they must also work on accepting that teens and young adults in our society feel empowered by both the media and their own youth culture. Parents may actually be disempowered when it comes to getting their kids to meet certain functions or go to school. 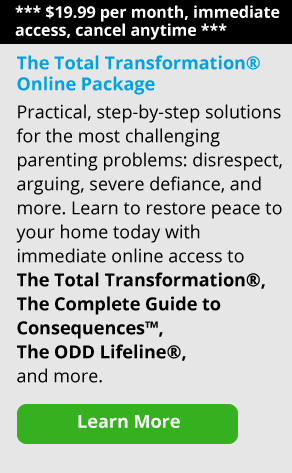 In this case, you should seek a stronger type of intervention for your home, and also accept that as children become teenagers they develop the power to resist parental efforts and sometimes they actually choose to fail. I have known many young people who have gone back to school to get GEDs, night school diplomas, trade school certificates and college degrees after failing out of school. Parents should work on accepting that as children become teenagers and young adults, the responsibility, the accountability and the social consequences fall more to your kids than to you. As a parent, do the very best you can, and then accept what you have no control over. Parents may often feel alone in dealing with these types of power struggle behaviors in the home. Frankly, in many cases, they are alone. The youth culture—and the professionals who have bought into the youth culture—promotes the concept that kids should not be held accountable for not meeting their responsibilities. It’s irrational to think that kids are going to do the hard work it takes to learn the skills they need to survive as adults without some clear motivation/consequence system in their lives. As a society, and certainly as an educational culture, we have accepted the myth that kids don’t benefit from being held sternly accountable. The acceptance of this myth is part of the theory base that is producing and accepting so much mediocrity in our teenagers and young adults. Easy for us, too bad for them.